bidadoo_business has no other items for sale. 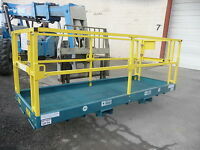 2009 GENIE GS3232 Scissor Lift 140 hours!!! This listing is subject to a $75.00 administrative and handling fee. See Description for full details.